Good clarity, glossy shrink film. Durable, therefore is better when using it to cover sharp edges. 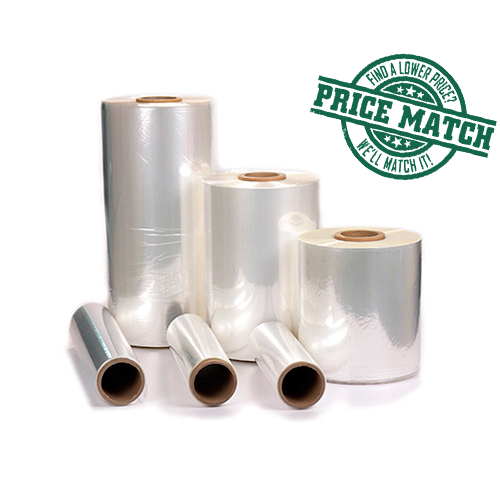 Suited to wrap food products as there is no odour or migration. Can be used as a presentation display film. It may not run on older 240v single phase machines. Mainly for CD, DVD, boxed games and Software packaging. PVC is not very durable and not suitable for transit packing. Purely a presentation display film. Not suitable for food contact - Non Food Only. Cannot be used on automatic machinery. Used by manual single-phase L sealer or chamber machines. Tough and durable transit film. Mainly Sleeve or L sealers and shrunk by a 3-phase tunnel.